Big Rigs 'n Lil' Cookies: New Addition? 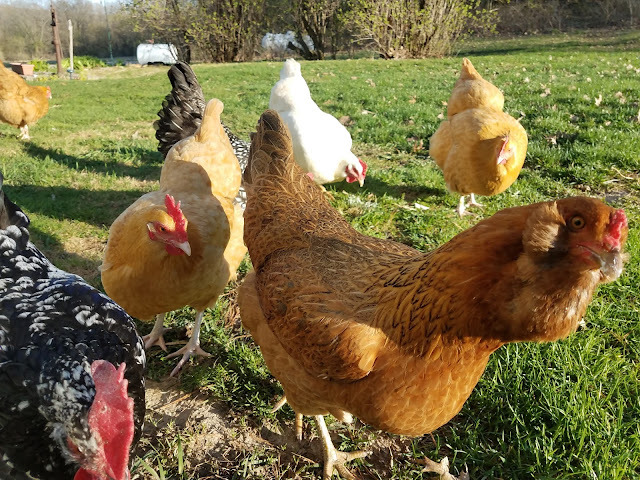 What's new on the farm? 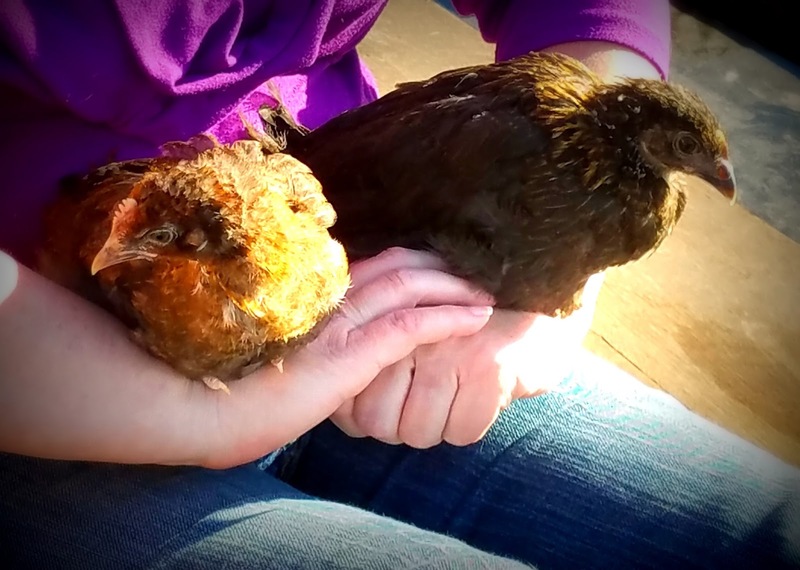 2 new chickens! We (well mainly just me) are so excited about adding these two new chickens to our flock. 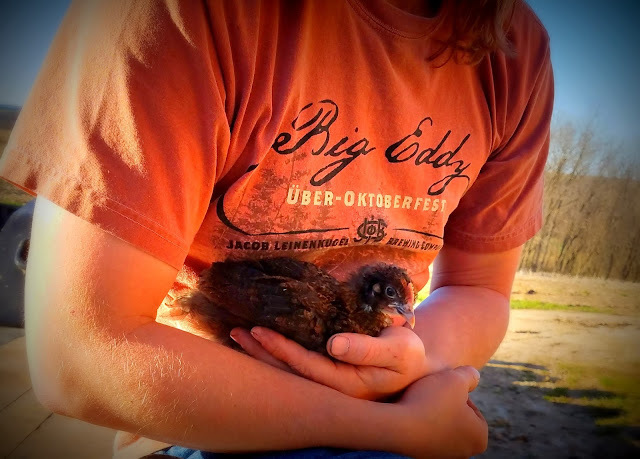 They are Black Copper Marans. They will grow up to be a dark colored bird. Why am I so excited? 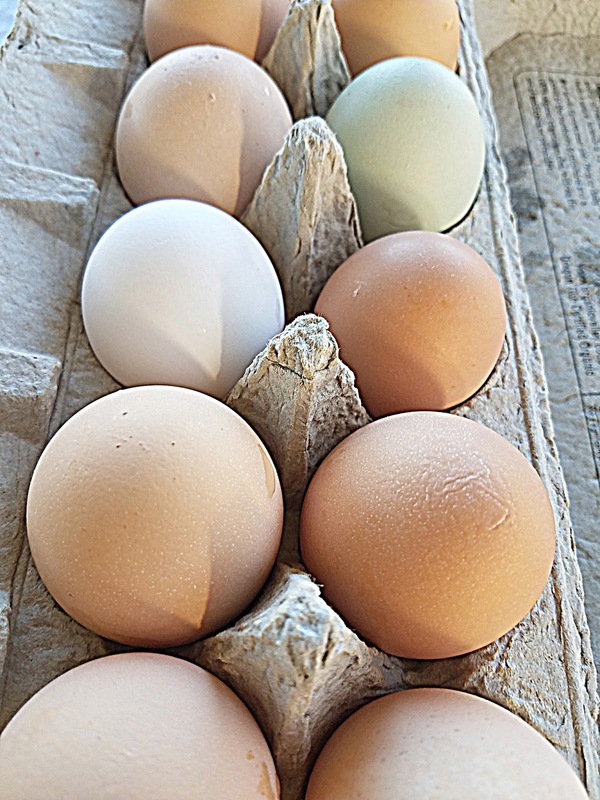 Because they lay the most beautiful "chocolate" colored eggs. While I have never seen these eggs myself, I have seen lots of photo's of them, and I am sooo excited. 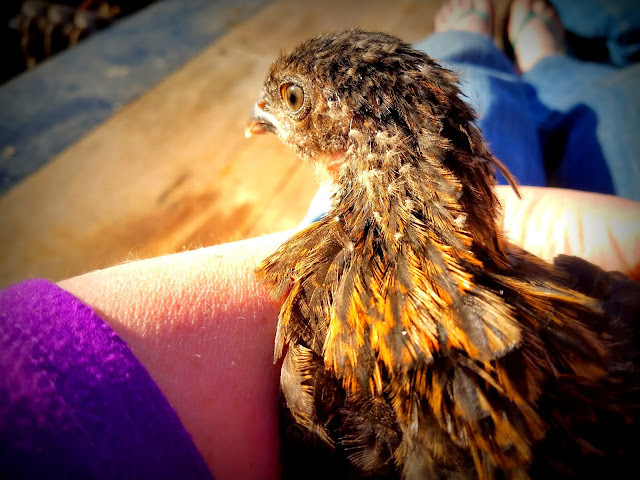 We are hopeful that both of the chicks are hens. click over to this post from Fresh Eggs Daily. In the mean time, the rest of the ladies are keeping busy. Enjoying the green grass and bugs that were out of their reach all winter long. Won't the dark colored eggs look beautiful mixed in with these? I love that second to last photo. I am so excited for the sweet new chicks. Looking forward to watching them grow. They are growing so fast! Congrats on the new additions! I am sure the new eggs will be a gorgeous addition to your mix! Cool! Those eggs are really awesome. Can't remember when I last saw some eggs with such pretty colours. The rainbow of colors always amazes me. Wow! Fresh eggs would make any cake better. Right!! I am anxious to see how their coloring develops as they grow. Then bring on these glorious eggs! I would love to have my own chickens, chocolate eggs will be a nice addition to your already beautiful egg collection. Are you able to have chickens at either of your homes, Cheri? I love your new chicks, Kris! Their feathers are such a pretty color. No wonder they lay such beautiful chocolate eggs. I'm looking forward to seeing them!!! Oh, Anne. You would love these chickens so much! I really need to work on getting a video of them for you to see some of their personalities. How lovely! They look like they're going to have a great time with you!! Beautiful birdies :) I haven't been by to check on my favorite blogs in months - I hope you are doing well. Wishing you all the best!